PQWT-CL900 pressure pipeline leakage automatic analyzer is a fully automated leak detector, which is independently developed by our institute. It is especially suitable for pipeline leak detection in large industrial parks. 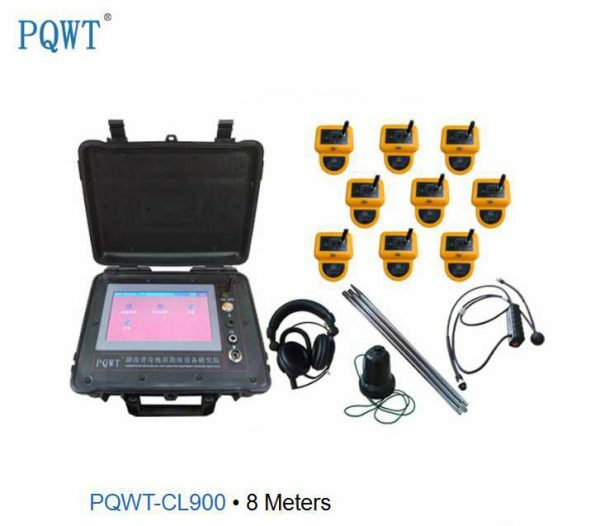 It overcomes the single leak detector is easy to exist due to the pipeline of liquid, gas flow rate pressure changes caused by the miscarriage of justice problems., and arranges multiple wireless leak detection probes in pipelines through wireless connection mode. Recording the data at the same time, By comparing and analyzing the recording data of each probe to determine the location of the leak. 7. Apply to property management company, water supply company, heating companies, fire company pipes leak detection.